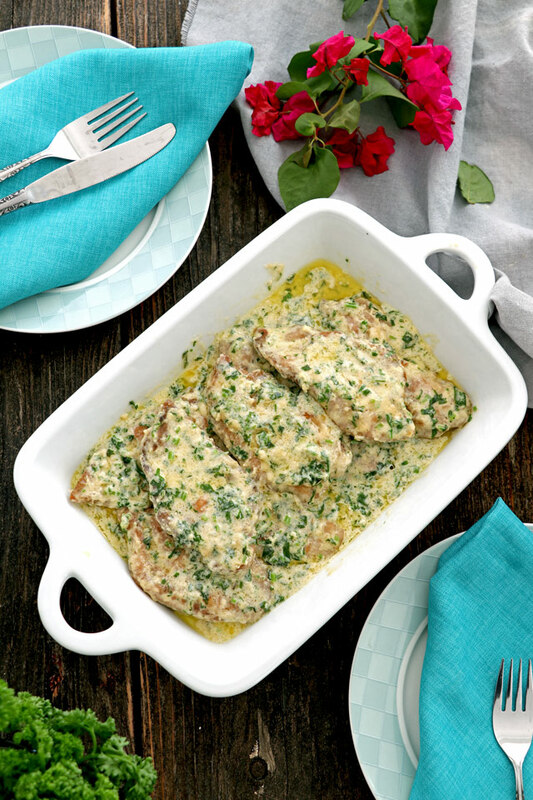 This one-pan Creamy Cilantro Chicken is very flavorsome and is done in a breeze with crispy breaded chicken smothered in creamy cilantro sauce. 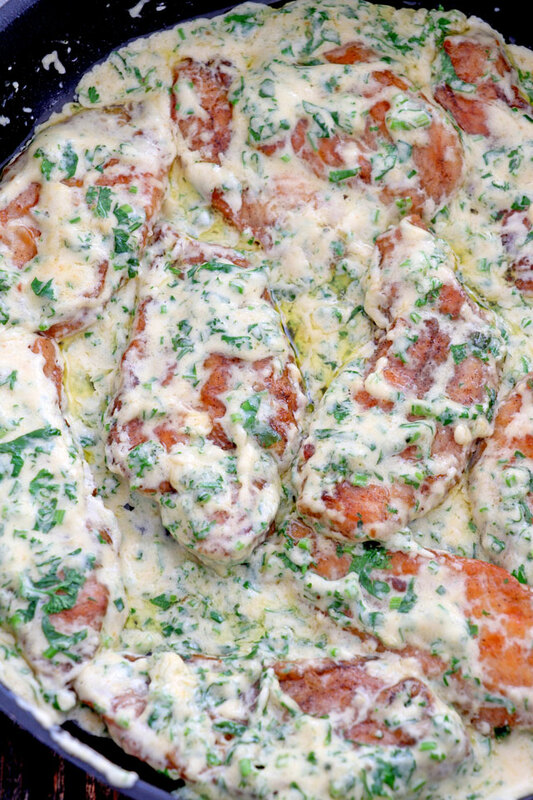 This recipe for Chicken in cilantro cream sauce is my version of the one that a good friend and former colleague, Roms, brought several times to the office. Back in the days when I was still tied to a corporate chair. One of the happy memories I have is when we, with other of our friends-colleague, share our home-cooked meals at lunch break. Roms would bring the most mouth-watering dishes. Not a surprise since her brother and his wife own a restaurant and they can surely cook! This dish is one of my favorite from their menu. So I tried to remake it from the memory of my taste buds. I am not sure about the technique but taste-wise I think am almost there. 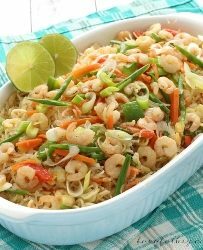 This recipe is fairly straightforward to make and would only take under 15 minutes to cook. The secret is to use thin chicken fillet. This way, the meat cooks faster when fried to a crisp. The marinating time is also cut into half since the seasoning is more easily spread to the meat than with thin cuts. 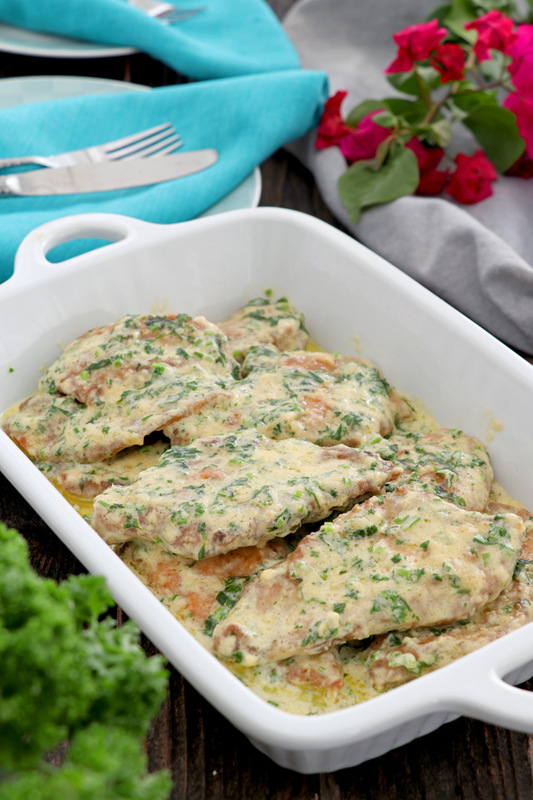 Once the chicken is fried, the creamy cilantro sauce is then cooked in the same pan and the crispy chicken fillets are added back to absorb some of the sauce making it more flavorful. Cilantro is the Spanish word for coriander. But in some countries like the US, cilantro refers to the leaves and coriander is what they call the seeds of the same plant. So it is considered both herb and spice since both are used as ingredients and condiments. It is also known as Chinese Parsley and “Wansoy” in the Philippines. Interestingly, most people would say cilantro tastes a bit tart with lemon/lime taste. However, a smaller group of people would say that it tastes like bath soap, as linked to a gene which detects aldehyde chemicals also present in soap. To have your fresh cilantro longer, put it in a glass with water just like you would cut flowers. Cover the leaves with a plastic bag and put the whole thing in the refrigerator. Change water every 2-3 days. First, you would want to cut the chicken breast fillet into thinner slices. You can do this by holding a fillet in between the cutting board and your palm. With a knife in your other hand, cut sideways through the center of the fillet. Then season the chicken fillets with fish sauce and fine ground pepper for 30 minutes to an hour. Yes, I use fish sauce to marinate chicken and sometimes other meat too. It greatly boosts the flavor better than salt can ever do. No worries, it does not leave a trace of fishiness in taste and smell at all. You should really try it. But if not available, then salt will do. Dredge each piece in flour and fry until golden. Remove chicken from pan. Next is to make the creamy cilantro sauce in the same pan. 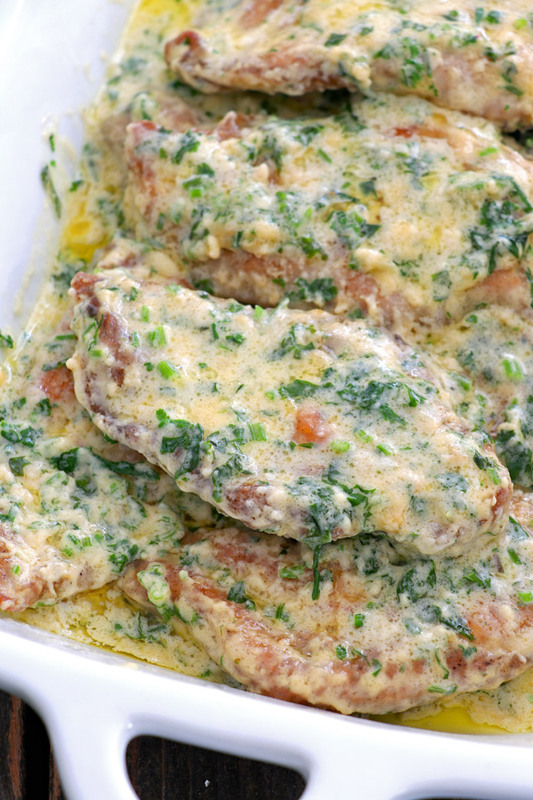 Once the sauce is thick and ready you may add back the breaded chicken fillet and smother each piece in the creamy sauce. For those (small group of) people who cannot eat cilantro without thinking of soap of bugs, this dish is also great with parsley. In a bowl, combine chicken fillet, fish sauce, and pepper. Mix well and marinate for at least 30 minutes to an hour. Dredge each piece in flour covering all sides completely. Over medium-high heat, fry in hot oil until golden. About 2-3 minutes on each side. Remove fried fillets from oil and set aside. On the same pan over medium heat, melt butter. Add cream and let it simmer. Once it starts to simmer add the chopped cilantro. Add 1 Tbsp of the dredging flour if you want to make the sauce thicker. Add back the fried breaded chicken fillets to the sauce and let it cook for another minute. Serve. If you have an aversion to cilantro, this recipe works very well with parsley as well. Although I highly recommend using fish sauce for the marinade, salt may be used as an alternative.